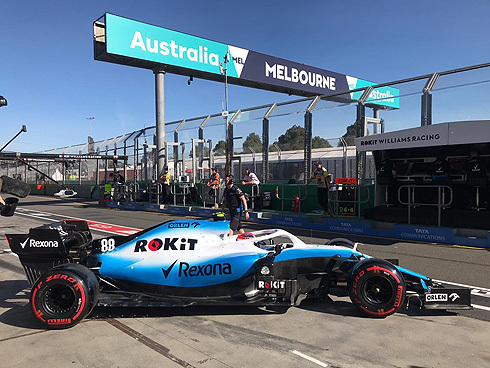 The second Friday practice session for the 2019 Australian GP would see no chnage in the situation for ROKiT Williams Racing. George Russell and Robert Kubica would finish 19th and 20th. Both drivers would complete soft tyre runs early in the session followed by a split strategy for the longer runs late in the session with George using the medium tyre and Robert the hard. Both drivers would admit that there are issues but George was confident that the car is a good base for development. 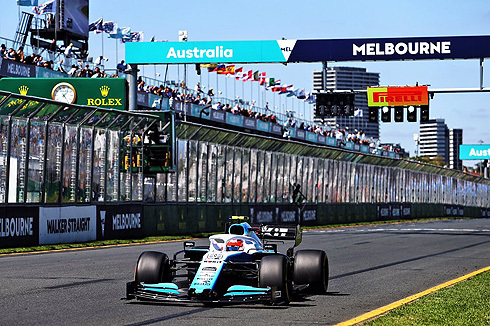 The opening Friday practice for the 2019 Australian GP would see both Williams drivers at the bottom of the times with a considerable margin to the cars in front. Now it was the second ninety minute session and the question was whether there would be any improvement. The first time of the session was a 1m:25.634 from Grosjean. The track would become quite busy with both Williams cars running. A 1m:24.984 from Grosjean set on the medium tyre but his team-mate would set a 1m:24.409 while the Williams drivers were again slowest in the order. Both would pit after a six lap runs. Hamilton and Bottas would go quickest with the fastest time now a 1m:23.206 using the medium tyre. Drivers were now coming out on soft tyres with 55 minutes remaining. Both Williams drivers were still in their pits. But both would return for runs on the soft tyre and would improve their times but not their positions. They would pit after short runs. Quickest now was Bottas with a 1m:22.648 on the soft tyre. A 1m:22.600 from Hamilton with forty minutes remaining in the session. It would not be until just under thirty minutes that the Williams drivers would return on soft tyres but would not improve. Both would pit returning on the medium and hard tyres for their next runs. Fifteen minutes remaining and Hamilton was still quickest from Bottas, Verstappen, Gasly, Vettel and Raikkonen sixth. 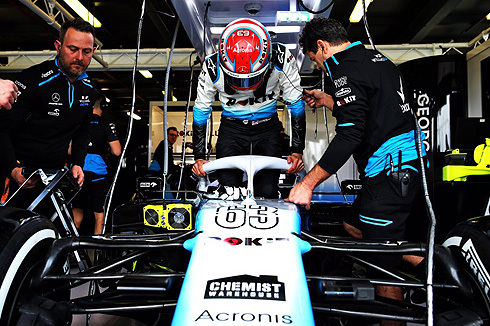 Both Williams drivers were continue with their longer runs as the session ended. Robert would follow his team-mate out for the session except he is on the hard tyre. Robert would set a 1m:29.941 to be behind his team-mate but he is on the harder tyre. A 1m:28.469 from Robert having completed four laps. Another small improvement with a 1m:28.379 as Robert pitted having completed six laps. Robert would also come back out for a soft tyre run. A 1m:26.655 from Robert seeing him remain 20th. Robert would also pit after a six lap run. Robert was also to come back out on new soft tyres. But after a short run he would pit returning on the hard tyre for what would turn out to be a 13 lap run pitting with the end of the session. Robert in a post session interview would say "We had big problems with general traction in the morning. We have to draw maximum from what we have. This is the only goal. We are not able to fight in qualifying. " George would be the first out for Williams in the session still on the medium tyre. A 1m:28.808 on his first timed lap. He would improve with a 1m:28.389. A 1m:27.718 from George but he would remain 15th. George would also pit after a six lap ruin. He would return with just over 50 minutes remaining using the soft tyre. George would improve with a 1m:26.453 but remained 19th. George would pit after a four lap run. With just under thirty minutes remaining George would return on a new set of soft tyres. George would pit after just a three lap run without any improvement. he would switch to the medium tyre for a further run. He would complete 14 laps prior to the end of the session. In post session interview George would say: "We have a big loss, but we knew we had problems. We count on progress in Bahrain and subsequent races. I believe we have a good base for development and we need to work on the car. It's not as bad as the Times show... "